Will Labor’s budget dream team prevail? Chris Bowen’s has a copy of Paul Keating’s After words in his office, signed by PJK with the words “I write with faith and hope in your public life.” That is not a trivial endorsement, according to Peter Hartcher in Bowen seizes the chance to make history. 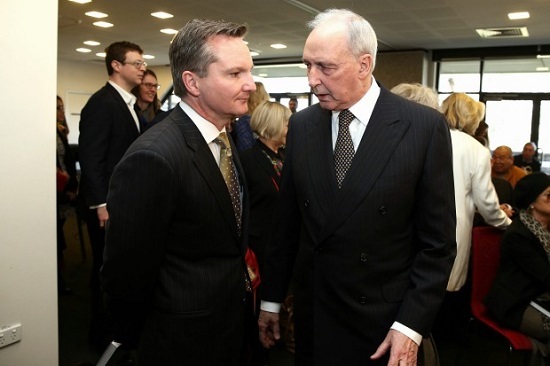 That’s according to a profile done by Geoff Kitney for the AFR Magazine Labor’s Chris Bowen: Paul Keating protégé and would-be treasurer. And it is Bowen’s non-threatening steadiness, Switzer and others believe, that will be an important factor in making Labor electable. Bowen was treasurer for three short months in the Rudd revival in 2013, I believe the only one to have a degree in economics. Bowen leads an extraordinarily well-qualified Labor economics team. As shadow treasurer Bowen has a bachelor’s degree in economics where he was a swat, achieving high distinctions rather than going down to the pub and chasing girls. Shadow finance minister Jim Chalmers has a PhD in political science and international relations from the Australian National University and was chief of staff to Wayne Swan as Treasurer from 2010 to 2013. Shadow assistant treasurer Andrew Leigh was a former professor of economics at ANU, but before that he worked as a lawyer for Minter Ellison (Sydney) and Clifford Chance (London) from 1995 to 1997. He then obtained a Master of Public Administration degree and a PhD in Public Policy from the Kennedy School of Government at Harvard University. At Harvard, Leigh was a Doctoral Fellow at the Malcolm Wiener Centre for Social Policy from 2002 to 2004, and a Frank Knox Fellow from 2000 to 2004. 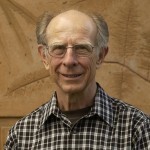 All three have written books, for example Bowen’s Hearts & Minds: A Blueprint for Modern Labor, “a passionate clarion call to Labor’s heartland”. Leigh’s output can almost be described as voluminous, with seven books to his credit. On the government side we have Treasurer Scott Morrison, who has an honours degree in economic geography, worked mainly in tourism. As Finance Minister we have Matthias Corman, who has a law degree from the Catholic University of Leuven in Belgium, worked mainly in local government. Kelly O’Dwyer as Minister for Revenue and Financial Services, and the Minister for Women and the Minister Assisting the Prime Minister for the Public Service has bachelors degrees in arts and law, worked as a senior advisor to Peter Costello for four years and later became an executive at National Australia Bank. None of them have written any published work as far as I can tell, but they are a class above Joe Hockey and Andrew Robb, who Laura Tingle in 2010 famously called liars or clunkheads or possibly both but in whatever combination, unfit to govern. So we should be able to get a good discussion on economic policy, but we don’t. Morrison and Turnbull don’t seem to be up to it, so we get slogans and scare campaigns. Turnbull tried to start a conversation on half-baked ideas about increasing the GST or introducing state taxation, but his side couldn’t engage, so he changed mode when Labor brought out its negative gearing policy, claiming the housing market would be “smashed”. This crude attack marked a degradation of the tone of discourse, which in retrospect looks intentional. The latest effort was in today’s Courier Mail, where Turnbull said the Shorten “just wants to tax your pension”. It is a lazy lie. Pensioners would retain cash refunds on franked dividends under Labor backdown. Labor has capitulated to pressure to exempt pensioners from its plan to end cash refunds for dividend imputation credits – a concession that would shave only A$700 million off its large projected savings over the forward estimates. The “pensioner guarantee” would mean more than 300,000 full and part-pensioners, and people on government allowances, would be excluded, as would 13,000 self-managed superannuation. “Recipients of cash refunds are typically wealthier retirees who aren’t paying income tax. These are people who typically own their own home and also have other tax-free superannuation assets, and don’t pay tax on their superannuation income,” the ALP statement said. It said 80% of the present benefit accrued to the wealthiest 20% of retirees, and the top 1% of self-managed superannuation funds received an average cash refund of $83,000. Labor gave the example of a self-funded retiree couple with a $3.2 million super balance, a home, and $200,000 in Australian shares outside their superannuation. After receiving annually $130,000 in superannuation income, and $15,000 in dividends, they would have a taxable income of only $15,000 – but pay no income tax. Treasurer Scott Morrison told parliament that the opposition’s policy “announced just two weeks ago … has turned to custard in a matter of days”. Bowen cites Treasury advice to government to call the Turnbull government for “outright lies” on negative gearing. Bowen lives in Western Sydney a few kilometres from where he grew up in one of the most culturally diverse electorates in the country. Kitney relates how when walking down the street with him, people greet him by name and he seems to know their names as well. He claims to have the mobile phone numbers of most of the CEOs of the country’s 50 largest companies and has done “a very substantial number” of board lunches – sometimes several in a week. Business interlocutors are invited to call him at any time. AFR Magazine has confirmed that in the past six months he has had discreet boardroom meetings with the top brass of more than a dozen companies, including ANZ, ASX, BlackRock, Coca-Cola Amatil, Mirvac, QBE, Rio Tinto and Westpac. businesses are telling him privately that they think cutting the company tax rate is not a first order priority, but they won’t say that publicly because they “don’t want to rock the boat with the Business Council of Australia”. Behind the politicians there are public servants. This post identifies two of the most important. Morrison’s chief of staff is Phil Gaetjens, who merits the term “warhorse” served in Peter Costello’s office, eventually as its head and is credited with helping to develop many of the economic strategies that secured the Coalition four terms in Office. Bowen’s chief of staff is James Cullen who graduated from the University of Sydney with a degree in Economics, Political Science and Government in 2003 and has been with Bowen since he was elected in 2004. To me Bowen’s approach is similar to that of Jacinda Ardern’s investment approach to achieve valued outcomes. The cynic in me suggests that the LNP negativity may do just enough in the electorate for Turnbull and his lot to be returned. In this week’s Essential poll people favoured Labor’s approach in Preferred tax plans, in Preferred economic plans and in Preferred spending cuts. Yet when asked about Party trust to manage fair tax system it was a dead heat. And Federal voting intention the TPP vote has closed to 51-49 in favour of Labor – basically a dead heat. Gay Alcorn asks Australia is obsessed with opinion polls. Why do we take them so seriously? They are at best a snapshot of how a government or opposition is tracking, or how grumpy people are, but they corrupt our political debate. Indeed they do, in the hands of partisans who will use any means to an end. I feel we need some radical economic thinking and that Bowen is too stuck in economic orthodoxy to help this to happen. Craig Emerson, a big fan of PM Gillard, had a serious economics degree, and some experience working in South East Asia. Mr Hockey was lazy intellectually. Matthias is articulate. Belgians are often underrated. The Banking (sp?) Inquiry will not enthuse voters. The Liberal leadership are already widely seen as a Bunch of Bankers. Now policy….. that’s a different game entirely. Ambi, Craig Emerson has a PhD from ANU. I first came across him when he was head of the Dept of the environment in Qld in 1990. He organised a series of forward-looking 20:20 evening seminars for all public servants. I remember Ross Garnaut explaining to us why ‘free’ trade was such a good thing. John D, I don’t think Chris Bowen is going to frighten the horses, but he has found revenue that others have not been able to. For more radical change I think we would need, if I may say so, a more charismatic leader than Bill Shorten. Brian: Shorten impresses me as someone who can quietly consult, think something through, build support and make something happen. What he did with the NDIS impressed me enormously. That is why I think he could be one of our outstanding prime ministers. John, in the three months Shorten was minister for education under Rudd he signed up the recalcitrants that Peter Garrett could not get on board with Gonski, except for WA. I think Bowen, his team, and Shorten could return Australia to the course it was on when Howard and Costello intervened – more or less. Then it was a country we could feel proud about. If you want something more radical I think you’ll need to wait. If you want something more radical I think you’ll need to wait. That is why I put the Greens ahead of Labor. Not because I agree with all of the Greens economic policies but because I think the current orthodoxy needs to be challenged. I thought and still think that Hawke economics/industrial relations was what was needed at the time. PJK has made an unusual intervention last week, saying there is a move on the part of the unions to go back to central wage fixing, because enterprise bargaining is seeing increased productivity going to company profits rather than to wages. PJK said that would be a disaster, but his solution was to increase the super levy to 12%. I couldn’t follow his reasoning. Must dig it out and have another look. Brian, sorry to be picky but it’s Jacinda Ardern. In Keating’s day enterprise bargaining favoured powerful unions in workplaces where going on strike caused substantial damage. Even there the use of combined agreements meant that small unions like the ETU didn’t do as well as the more numerous groups like the TWU. Since then, the erosion of the right to strike has meant that enterprise bargaining has seen growing inequality and stubbornly high unemployment.. The system is due for a review. Sounds like an angle for a new greens tax to me. Looking at the graph the big spikes correlate to new ALP pms. 83, 91, even 07 had a blip. But correlation is not causation so it’s prolly a coincidence or just plain bad luck. You may be too young to remember, but down here in Victoria we had a serious drought in the early 1980s. Within days of Bob Hawke’s election in 1983, the new PM broke the drought!!! Robert James Lee Hawke broke the (rainfall) drought. Depends on how long you mean by “historical”. And notice how the unemployment rate dropped precipitously as soon as he was elected (according to Jump’s graph). Correlation isn’t causation Boyz, as I clearly said. For just these anticipated responses. Zoot, I don’t know what graph you’re looking at. Regardless, data points don’t reveal a true trend, better to look at average rates by each. It would be good to have a set group of metrics when comparing governments. Average unemployment rate reduction would be one. If one could name 10 measurable indicators, what should they be ? That’d be a fruitful debate. Young Jumpy: When I left school I, like many of my peers had a job lined before I left school. I knew of no-one who didn’t get a job including people who went to low end selective schools. 2% unemployment was high enough to put a government under threat. Current unemployment and, in particular youth unemployment these days would, quite likely to be seen as stubbornly high by my generation. Thanks, Andrew. I was never good on names. Corrected now. Dunno, John, when I was at university in the early 1960s I decided to get a job and saw one advertised in the paper for a shelf stacker in Woolworths. I got up early, caught the bus to Everton Park and walked across a paddock. They told me I was the 41st to show up that morning. Since I was a university student I was told that I was over-qualified any way. But then I applied to the Commonwealth public service. Easy, got a job as a base grade clerk in the PMG, which later became Australia Post and Telstra. Long ago, at 7.35pm, you refer to spikes and “blips” in 83, 91 and 07. Then by 9.04pm you announce that it’s better to look at averages. Based on these two data points, I can’t spot a trend. And the correlation seems close to zero. Should I be giving my library card a bit of a spin? Unemployment used to be low. A few big spikes: tariff reductions 1973, oil shock 1974, recessions subsequently, GFC [Greasy Fried Chicken], etc. and a seemingly long, slow trend towards higher levels…. Meanwhile some bloke in London has written a book about Bullsh*t Jobs. I wonder if writing social commentary like that, and being paid for it, is a bullsh*t job itself?? Since you left school the female participation in the payed workforce has gone up considerably. I believe in your time there was even a ban on married women working in the Commonwealth public services. Now there’s more competition plus a lot of job types have totally disappeared since your glory days.